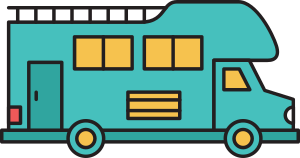 In order to contact hosts, you need to be traveling in a self-contained RV and have an active guest privileges subscription. A one year subscription is less than the cost of a single night in a campground. 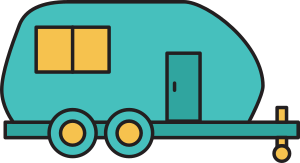 What is a self-contained RV? A self-contained RV is one that is set up to allow all functions of living (sleeping, eating, cooking, and sanitation) to be handled completely while inside the RV. A toilet system and a built-in grey water tank is an absolute requirement. Confirmation that you'll be traveling in a self-contained RV is required to purchase or activate guest privileges. This requirement is in place to honor our promise to hosts that they'll only get requests from travelers who are prepared to be totally self-sufficient and, if necessary, as inconspicuously as possible. If you have a host location listed, you qualify for a 50% discount on guest privileges subscription fees. Plus, every time a guest stays, you'll earn a credit for 3 months of guest privileges, to be activated whenever you choose. Learn more about becoming a host or learn more about host rewards. Once you've purchased a guest subscription, you'll be able to request stays with any of our hosts. With over 1000 hosts and more added every day, you're sure to make some great friends while saving a few dollars on your adventure. Or only $19.50 for hosts! Try Boondockers Welcome for 90 days. If you're not 100% satisfied, your subscription fees will be refunded. No questions asked. Unlimited stays with our hosts, as their availability permits. Many of our guests have crossed the continent, staying with hosts the entire way! Special subscriber discounts on other RVing related memberships and products. See the full list of discounts. We LOVE it. Great people, very friendly and helpful. It is great to be able to pull into a driveway and feel at home, you don't have to worry over getting that knock on the door in the middle of the night. Boondockers Welcome has been a blessing. It's not just a place to stay, you meet so many great people. We have had everything from levelling blocks made in our host's workshop, loan tools, fresh bread and garden produce, local sightseeing trips in hosts' cars, to fishing and boat trips, but always great company and conversation. Its added so many special memories to our trip. BW is a life experience you have to part of, sign up now, you will not regret it.